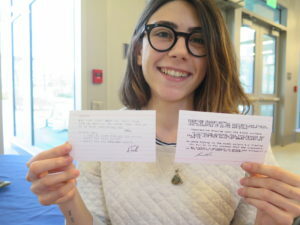 SUNY New Paltz students spill their words about water in WaterWords, a multi-media poetry project! SUNY New Paltz students spill their words about water in WaterWords, a multi-media poetry project! WanderWords was honored to join New Paltz staff and students to create this multi-media event. Madeline Veitch, Sarice Olson, Joshua Korenblat, the Creativity Caravan came together to promote the consciousness of water in our every day lives through poetry. 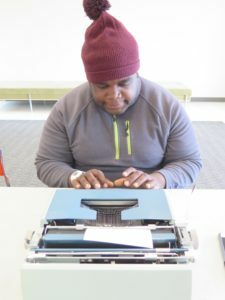 A video, a zine, a performance and typewriter poets together with the students of New Paltz made WaterWords a multi-dimensional event.